The National Trust for Historic Preservation’s decision to put Malcolm X’s home during his teenage years on its list of endangered historic sites should be applauded. The move increases the chance that the Roxbury home will not only be preserved, but put to good use after being vacant for most of the past three decades. Boston played a formative role in Malcolm X’s activism. When he moved to Roxbury in 1941 as 15-year-old Malcolm Little, he had never lived in a predominantly black neighborhood. 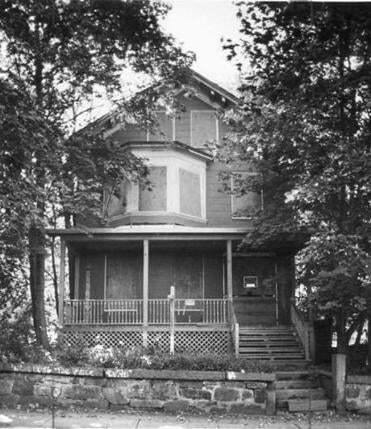 The owner of the house, his half-sister, Ella Little-Collins, was a civil-rights activist before he became one; Malcolm X said she was “the first really proud black woman I had ever seen in my life.” And it was in Boston where he was first exposed to the teachings of Islam and where he went to prison, experiences that marked his transformation into a controversial and influential national figure. By including the Dale Street house on the list of about 250 properties, the trust is bringing more than symbolic attention to efforts to protect the home; it will aid local nonprofits with raising the more than $500,000 they say they need to turn the site into housing for graduate students or professors. Boston was where civil-rights leaders found their voices; around the same time Malcolm X lived here, Martin Luther King, Jr. was earning his PhD at Boston University. Preserving the house where Malcolm X grew up will help ensure that this part of the city’s history isn’t forgotten.